Fact: People with diabetes are twice as likely to develop gum disease. adverse pregnancy outcomes, including low birth weight and pre-term delivery. 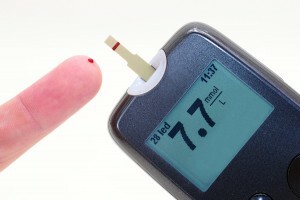 The Yuba City Dentistry Group knows diabetes as a serious condition that must be dealt with delicately. Let’s take a closer look at some of the similarities between diabetes and gum disease, and what can be done to combat these. As much as diabetes increases the risk of gum disease, evidence shows that serious gum disease can increase the risk of diabetic complications. Why is this? Researchers can’t say for sure. What we do know is the two diseases affect the response of the body’s immune system. Inflammation itself is a sign that the body’s immune system is working hard to fight disease, prevent it from spreading, and mend itself. But chronic or prolonged inflammation, a result of both diabetes and gum disease, can lead to complicated problems and damage to the body. What does it all mean? One large study indicates that a patient suffering from both diabetes and severe periodontitis doubles his risk of dying from heart attack, and raises the risk for kidney disease by over eight times! Also, severe periodontal disease greatly affects your ability to control your blood sugar levels – making it six times more likely that these levels will worsen over time. In other words, one condition greatly increases the risk factors for the other. Left unchecked, this vicious cycle can destroy your health. There is currently no cure for Type I diabetes, but the disease can be managed through various means. Additionally, clinical studies show that diabetics who are effectively treated for periodontal disease significantly improve their general health, including better control of blood glucose levels and an improved metabolism. So what is “effective treatment”? Our Yuba City dentists work with you to determine a plan that’s right for your individual circumstances. Typical procedures may include scaling and root planing (a method of deep cleaning the gums), antibiotic therapy, and instruction for effective home oral hygiene. If you are at risk for Type II diabetes, but have not yet developed the disease, there are some practical measures you can take. Being overweight is a primary risk factor, so keeping your weight down decreases your chances of contracting the disease. Your diet also plays a large role, so eat healthier and reduce your sugar intake. Moderate exercise can reduce high blood pressure, which is another risk factor. When seeing your dentist at the Yuba City Dentistry Group, be sure to inform us if you are being treated for diabetes or are at risk for developing the disease. And remember: If you suffer from diabetes, maintaining good oral health is more important than ever. For a consultation with our dentists about the diabetes and gum disease connection, contact us through our online appointment scheduler or call us at 530-671-4784.